Each week we print and mail out copies of that week’s Shmuz on the Parsha for people to put in their shuls. 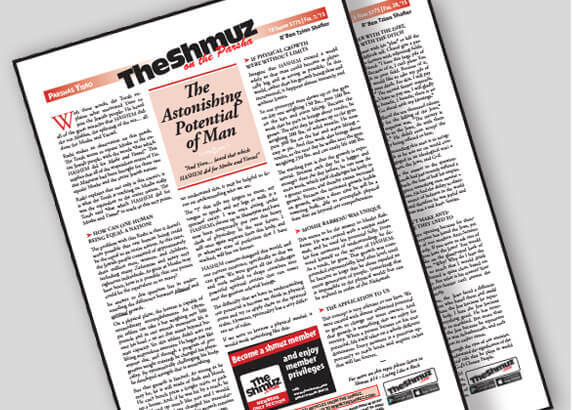 If you are interested, in helping to spread the Shmuz, just let us know how many copies you need each week, and we will send them to you. That way you can help others benefit from the Shmuz. How many copies do you think you will need each week?